Financial accountability and accuracy is the cornerstone of any successful political organization or campaign. In today’s political arena web based credit card transactions can account for more than 70% of an organization’s revenue. 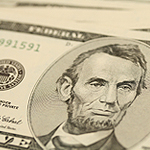 In the current climates of rigid campaign finance reporting and compliance guidelines, the necessity for absolute adherence to all legal requirements in a timely manner is paramount. The task of reconciling your web based credit card transactions to your accounting system can be rather daunting, and at times, border on the impossible. Political CFOs’ Swift CPA (Cyber Payment Accounting) System (patent pending), makes achieving that goal quick and easy, saving your committee valuable staff time and money, allowing your committee to make those last minute, strategic financial decisions, knowing that you have accurate financial information. At Political CFOs, we have created a streamlined system for the processing and reconciliation of your online credit card transactions to your monthly bank statements, eliminating the dilemma of delayed accountability. 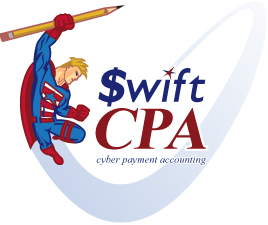 Through the use of Swift CPA, we can eliminate the time consuming reconciliation process utilizing new, cutting edge technology for your automated transactions. The Swift CPA System seamlessly integrates with your existing web based contribution system to simplify the tracking and reconciliation process for automated transactions. Political CFOs’ Swift CPA System provides you with timely documentation of all of your web based transactions.